Building a UX design toolkit to help mobile banking providers in Pakistan make their apps more accessible to first-time smartphone users. 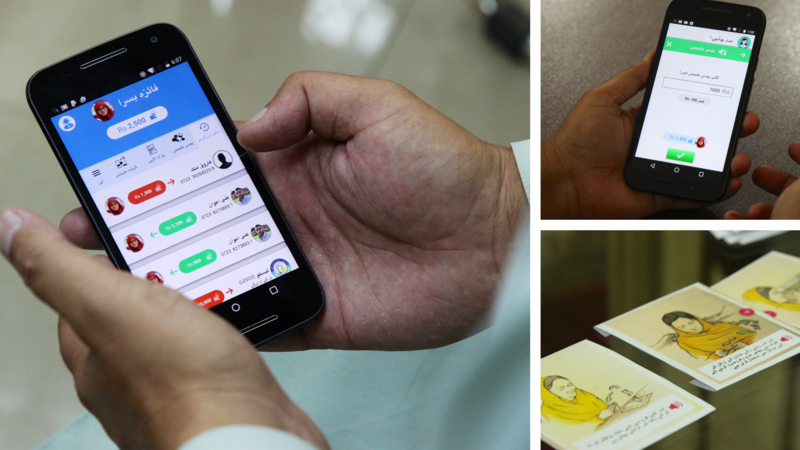 A research participant shows a designer from GRID Impact how they find contacts in their phone without being able to read and write. Karandaaz Pakistan is an NGO that provides access to financial services through technology-enabled solutions. Karandaaz believes that mobile financial services (MFS) delivered through smartphones will greatly increase access to mobile banking for low-income and low-literate users who have been excluded by text-based interfaces. Use insights from Pakistani consumers to rapidly iterate a user interface design and share output in a way that mobile banking providers can easily adopt and apply to their own application development. Sample pages from our Discovery Report, which included research insights, opportunity areas and actionable next steps. Our primary audience for this toolkit was mobile money service providers, so our discovery research included a series of interviews with stakeholders from a range of organizations in Pakistan including National Bank of Pakistan, EasyPaisa, UBL Bank and National Rural Support Program (NRSP). This was followed by a series of interviews conducted with current, potential, and former mobile money customers. This resulted in a set of of potential challenges and opportunities our team used to inform design of the smartphone application. The final component of our Discovery Report was a competitive audit of other mobile money smartphone apps from key markets around the world, as well as providers in the Pakistani market. Example interaction models and sketches from our concept development phase. With Karandaaz, we developed three feasible approaches to a UX design for the smartphone app based on the insights from our Discover phase. Over several weeks, we refined the models with feedback from mobile money experts and other relevant stakeholders. Ultimately, we selected the two most promising concepts to develop into prototypes and test with users and agents in the field. We iteratively prototyped multiple concepts in Pakistan. Using both low-fidelity and high-fidelty prototypes, we tested the selected concepts through participatory activities with mobile money customers and agents. These activities included card sorting to select appropriate visual icons and transaction flows, and task-based transactions to test the usability of key flows. The use of paper-based prototypes allowed us to capture feedback from users and agents on the style, design, icons, flows and overall structure of the smartphone app menu. The high-fidelity clickable prototype generated feedback on how users engaged with the app, where they encountered difficulties, and how they interpreted transaction flows. Sample screens from the toolkit. 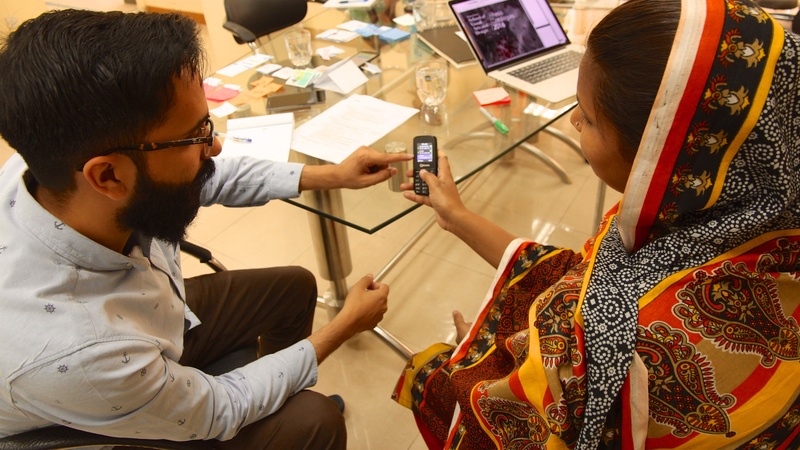 The Toolkit is targeted at various providers in Pakistan – banks, mobile money providers, payment providers – who want to extend MFS to low-income markets via a smartphone delivery channel. Mobile money (MM) providers will find this Toolkit helpful if and when they develop a smartphone app channel for their products and services. These providers will be able to adopt the use flows as well as iconography and other design pattern recommendations into their wireframes. The recommendations in this Toolkit focus on the design of an app for the mass market - average mobile money customers in the Pakistan market. The aim was to create designs that would appeal to the broadest range of customers, from low-literate new users to existing customers who already use MM services. After rigourous testing our project team was able to propose designs that worked well for low literate, low income users, while not compromising on the user experience for existing customers. 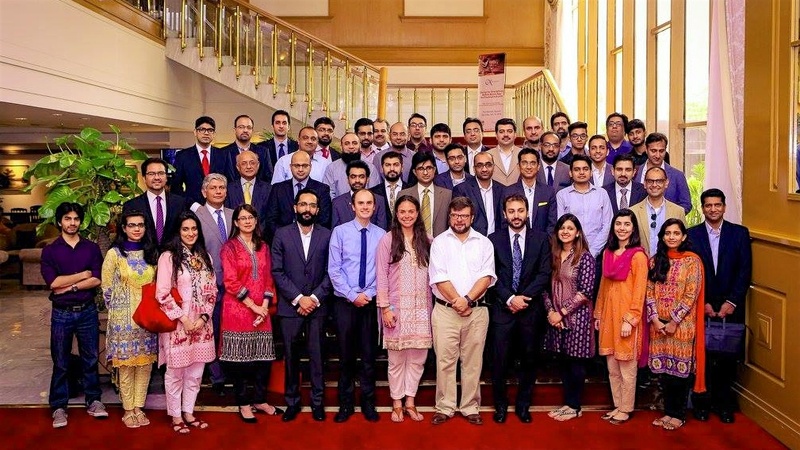 Participants of the dissemination event in Karachi, Pakistan. Karandaaz Pakistan organized a dissemination event in Karachi, Pakistan where GRID Impact presented the toolkit, methodology and research findings. The event included stakeholders from several organizations and industries including JazzCash who are now incorporating recommendations from the toolkit into the their mobile money smartphone app. I believe that the HCD based design will allow the MFS industry in Pakistan to substantially augment its services and expand them to low literate financially excluded people, especially women. I was the Lead Designer on a team from GRID Impact that also consisted of a Project Manager, Creative Director, Visual Designer and local research support.